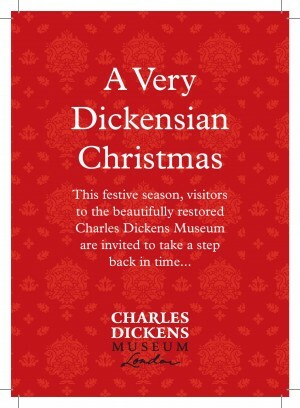 This festive season, visitors to our beautifully restored Museum are invited to take a step back in time and celebrate a Very Dickensian Christmas. The highly anticipated re-opening of the Museum is fast approaching and the house is soon to be filled with festive greenery and authentic Victorian trimmings. Let your senses be transported by the scent of citrus and spice as you enjoy classic film screenings of A Christmas Carol and lively readings from Dickens’s Christmas Stories. All visitors will enjoy mulled wine mixed to a special Dickensian recipe, traditional mince pies and other special festive treats. Join us in 2012 for the most Dickensian Christmas London can offer!